It is so far beyond time for our elected officials to take real action to address the climate crisis. Communities across the country are already struggling with impacts of floods, wildfires, and out-of-control storms. People of color, women and people living under the poverty line are the ones hurt the most by climate change, while contributing to it the least. We need to take immediate action towards climate solutions. We need to recommit to the Paris Climate Agreement. We need to move our economy to 100% clean energy by 2050. Tell your Congressperson to protect our planet, our communities, and our future by supporting the Climate Action Now Act. As a young American, I am writing to urge you to support HR9, the Climate Action Now Act. My generation will face the most severe impacts of the climate crisis. Those impacts are already here. It is beyond time for real climate solutions. A recommitment to the goals of the Paris Agreement would show the world that America takes its promise to cut pollution seriously, encourage other nations to honor their climate pledges as well, and give America a stronger voice in ongoing climate negotiations. 79% of adults 18-29 are concerned about the climate crisis. 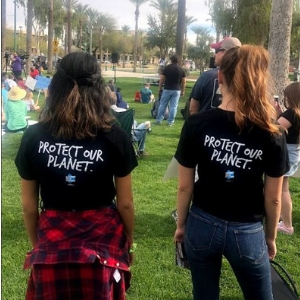 Please stand with young Americans and protect our generation's health and future by supporting the Climate Action Now Act. Our communities and our planet are relying on you to keep us safe.